Perl Programming Language is a free, platform-independent and interpreted programming language or scripting language.It supports multiple programming paradigms. Linguist Larry Wall designed Perl in 1987. Originally Perl was intended as a tool for the processing and manipulation of text files especially for system and network administration, Perl now has also integrated in the development of web applications and in the bioinformatics. Perl is traditionally represented in the financial world, especially in the processing of data streams of various news sources. The main objectives are rapid problem resolution and maximum freedom for programmers. The processing of text using regular expressions as well as many freely available modules, which is the central strength of Perl programming language. 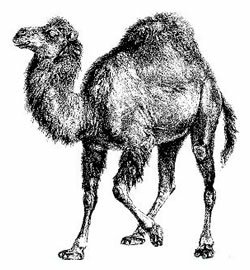 Perl is high-level, general-purpose, dynamic programming language. The full form of PERL is Practical Extraction and Report Language, some considers as acronym of Pathologically Eclectic Rubbish Lister. Pearl was the intended name but it had to be changed because there was already a programming language named PEARL. Perl was designed for practical use and therefore focuses on quick and easy programmability, completeness and adaptability. This philosophy is reflected in the following key words or phrases mostly said by Larry Wall. Perl in contrast to languages ? ?like Python is less prescriptive and intentionally provides several options for each problem formulation and solution. For example, one logical operators like || and && has overlapping functions allowing different formulations for the same solution. Some commands, such as the diamond operator ( <> ) offer shortened spellings for existing functionality, in this case would be, with slight differences. In Perl, there are commands that have different meanings depending on the context in which they are used. Such data are context-sensitive structures. The Perl interpreter itself is a program written in C that can be compiled on almost any operating system. Pre-compiled versions of rarely used systems such as BeOS or OS / 2, but are not always up to date The source code comprises approximately 50 MB and contains Perl scripts. Since its beginnings regular expressions (regex) is a special feature of Perl, similar abilities until then mostly seen in specialized languages ? ?such as SNOBOL and awk. For tasks that are difficult or slow solved with Perl, Perl offers the module line of an interface that can be integrated into a Perl program on the parts of the program in other languages. Supported languages ? ?include C , C + + , Assembler , Java , Python , Ruby , Fortran and Octave. Cite this article as: Abhishek Ghosh, "Perl Programming Language," in The Customize Windows, June 2, 2013, April 21, 2019, https://thecustomizewindows.com/2013/06/perl-programming-language/.